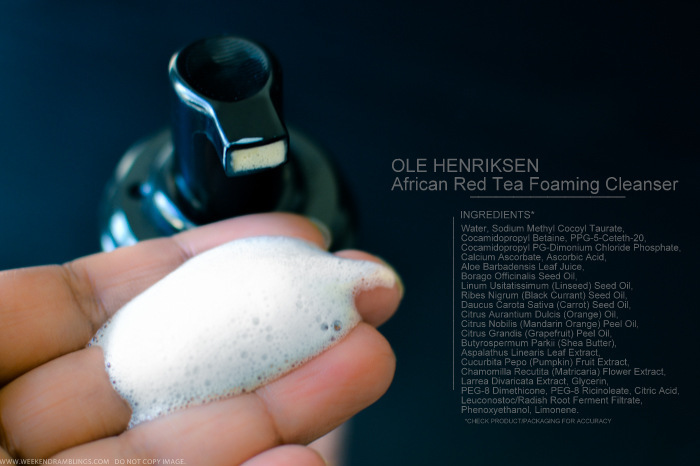 This creamy, foaming, antioxidant-rich cleanser gently cleanses, nourishes, and hydrates. It deeply purifies and pampers skin, infusing delicate nourishment with African red tea, a youth-restoring antioxidant to strengthen skin, vitamin C to brighten and firm, and borage seed oil to soothe and nourish. Bright and energizing citrus extracts of grapefruit, orange, and tangerine purify and intoxicate the skin senses. Formulated without parabens, sulfates, phthalates. 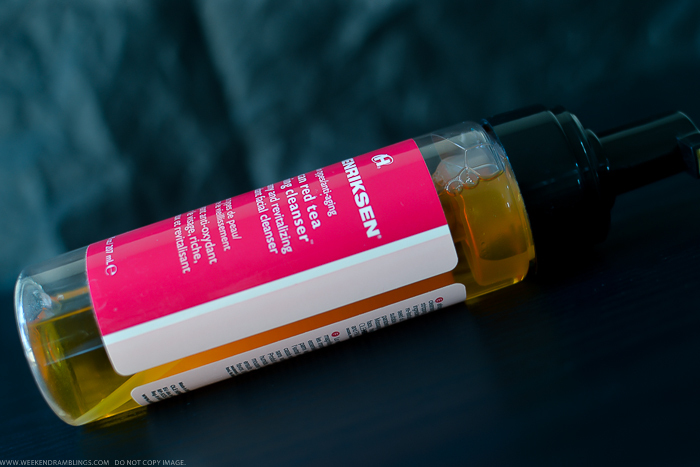 Ole Henriksen seems to be quite a favorite among a lot of bloggers (and also at least one skincare-obsessed friend of mine), so I just had to try out something from the brand. A face wash always seems like a safe bet, plus I had seen this in a Lisa Eldridge video, so of course, I had to give it a try! The cleanser claims to be packed with antioxidant and brightening ingredients such as vitamin C, borage seed oil, and African red tea with extracts of grapefruit and tangerine to give it a fresh citrus scent. The first thing that's different about this cleanser is the packaging - this is a liquid soap in the bottle but comes out of the pump as a soft white foam (Caudalie Instant Foaming Cleanser has similar packaging). 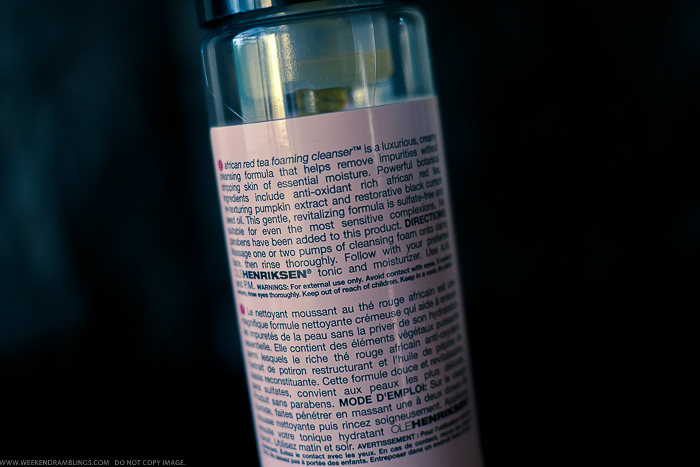 The cleanser does smell of grapefruits and tangerines and is perfect for waking me up in the morning! 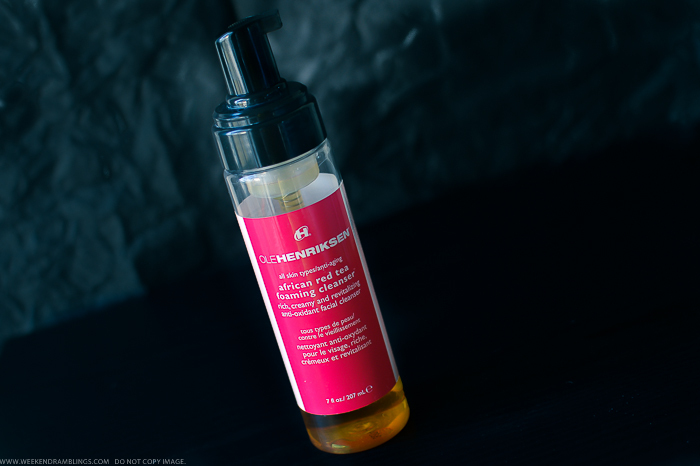 A little bit of the foam goes a long way, and the soft lather does a fabulous job of cleaning my skin without leaving it feeling dry or tight. It removes most of the makeup/foundation residue from my face, but I wouldn't rely on this to do a thorough job on its own. I find it much easier to take off eyeliner and other such stubborn/waterproof makeup with a makeup remover before using any face wash, so this isn't really an issue for me. As for the brightening/antioxidant claims, I really have no clue if this is doing anything for my skin, though it hasn't caused any harm :P Overall, one of the nicest face washes I have tried in a long time - this is my second bottle, so I definitely like it a lot!